Download Free Monitor Screen Mockup PSD. Here is a free monitor screen mockup which is great way to showcase your graphic design, web design, ui design, creative design work, logo presentation, etc to your clients on a Monitor Screen. This Free Monitor Screen Mockup will make your final design project look more professional and it will also enhance your design presentation and give it a photorealistic look. Monitor Screen mockup will also help you if you want to give your client an idea how the final design will look in realistic environment. You can easily edit the content of the monitor screen with your own custom design with smart object for quick customization. 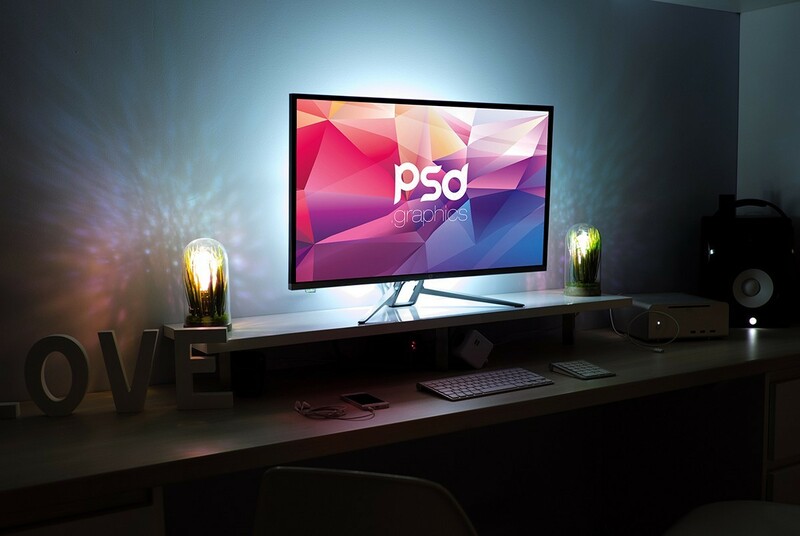 So Download this Free Monitor Screen Mockup PSD now. Hope you like it. Enjoy!